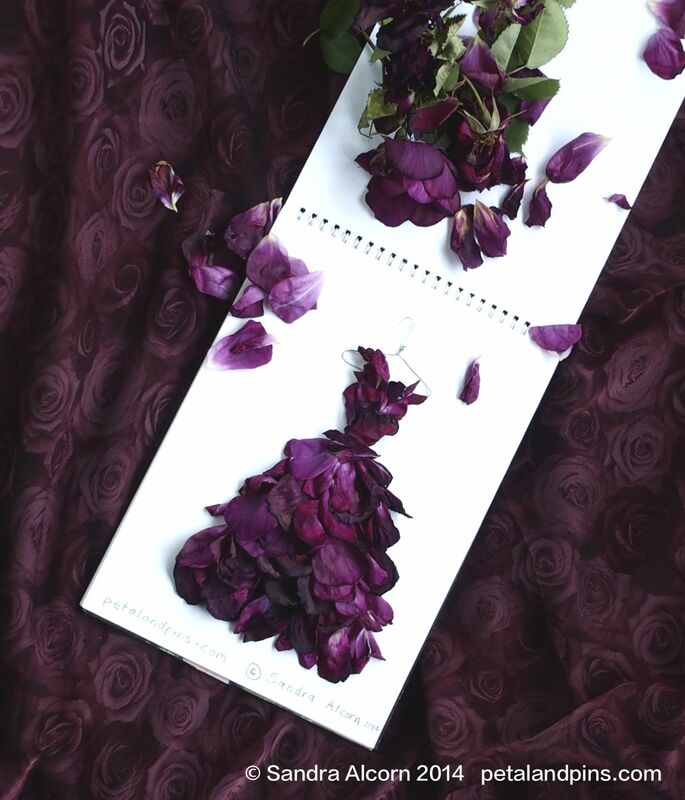 I let my vase of roses linger…I like the petals fading hues they remind me of my vintage velvet jacket the fabric bruised with wear and time only adds to its beauty. The petals spill on the mantlepiece and I let them linger too. As in Faded Glamour I’m inspire to turn them into a garden fairy’s gown. This is so beautiful and interesting. I’ve tried this kind of art called Oshibana to create a greeting card. And I love it! Thank you! and how interesting – I hadn’t heard of Oshibana. I usually create with fresh flowers and do not keep them, only photograph them. Love the purples in this one!! !